Eagles hoping to fly over the Vikings.. 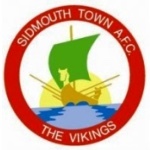 Tomorrow we welcome Sidmouth Town to Horsdon Park. Another tough encounter against a side that will give nothing less than 100% for the entire game. A somewhat feisty affair when we travelled to Manstone Lane for our first meeting, which we edged a narrow 3-2 victory in a game with sending offs and penalties a plenty. No doubt tomorrow will be another interesting match, hopefully without the match official having to resort to reducing numbers, or producing too many cards.  Torridgside v Elmore Cancelled Devon Premier Cup 1\4 Final. Cancelled due to waterlogged pitch. St Martins v Elmore.  Tough match at Minster Park.